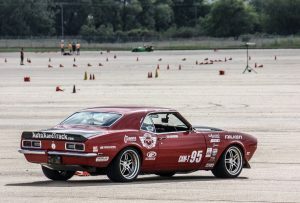 Folks into autocross for any length of time will have heard of the SCCA Solo Nationals at some point. It’s like the Superbowl of autocross. 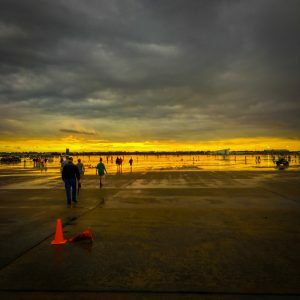 One week each year, the Lincoln Nebraska Airport becomes the holy mecca of autocross. 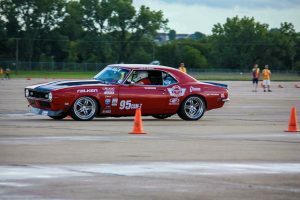 Not only does it attract the best of the best and the die hard autocrossers but it attracts even more social, fun loving party animals who happen to autocross. Its one of the biggest, maybe THE biggest, motorsports events in the world (by driver count). 2018 saw 1,400+ drivers competing in everything from, as delivered to the dealer, stock vehicles to 100% home built tube frame open wheel racers. 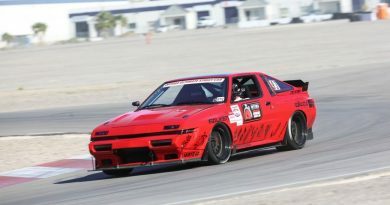 A lot has already been written about the SCCA solo Nationals experience. And when you talk to regular attendees you hear a lot of things said. “It will be fun.” “It will be overwhelming.” “Go for the competition stay for the people.” “Don’t try to win your first time.” So, trying to keep my expectations in check I decided to go! However, it did require considerable time and money to get myself and my car all the way from the coast of California to Lincoln NE. As a CAM class competitor I benefited from participating in the CAM Challenge the weekend before. So Nationals for me was really three events. The CAM challenge class competition Saturday, the CAM Challenge shootout Sunday, and the Solo Nationals competition Tuesday and Wednesday. That made the long haul a little easier to swallow. I also kept telling myself not to get to focused on finishing position. We had over 100 cars in the CAM Challenge with the largest class being CAM-C, followed by CAM-S followed by CAM-T. Saturday class competition was decided by taking the fastest morning time (out of 3 runs) combined with the fastest afternoon time (out of 3 runs). The course was the same all weekend. After the morning runs I was sitting in 5th place and chastising myself for, what I thought at the time, was over driving the car. However, on my first lap in the afternoon I dropped half a second on a 36 second course and after first runs I had the fastest lap of the day. 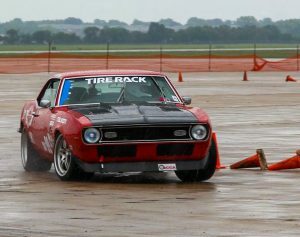 It was then that I realized bringing brand new Falken tires that had not seen a single lap was a serious mistake. After the three morning laps and time for the tires to cool down and see a full heat cycle the Falken tires were once again gripping like I was accustomed to. I ended up with the second fastest time in the afternoon which was good enough to take me from 5th place to 3rd place finish in class competition. On the podium baby! Steve Seymore took first place in a Fox Body Mustang and Chris Cargill took second in a 3rd gen Camaro. Chris also had the fastest CAM-T lap on Saturday. Did I mention the SCCA runs rain or shine? They will only stop for lightning strikes within a mile of the event. Sunday morning, everyone got three runs to qualify for the CAM shootout. However, it had rained fairly hard overnight and into the morning and the qualifying rounds saw drying conditions for each class. Effectively, the three run qualifying became a one run qualifying as the track dried out. I qualified behind Ryan Finch in second. During the CAM-T portion of the shootout it was raining steadily. The track was wet but didn’t have much standing water. I went up against Robby Unser first, followed by Steve Seymore and finally Ryan Finch. During my first two brackets I ran 42’s and was the only CAM-T car in the 42’s. Either time was good enough to win CAM-T and even the final 3 shootout for the overall win. However, when I went up against Ryan, I ran a 43.4 to his 43.0. Ryan went on to take 2nd in the final bracket of the fastest CAM-T, CAM-C and CAM-S car. 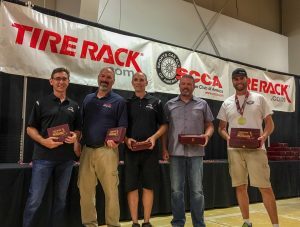 SCCA Solo Nationals competition takes place over two days and two different courses. CAM-T ran three laps on the West course Tuesday and three laps on the East course Wednesday. Combine the fastest run from each course and that determines class winners. Because CAM-T ran in heat 6 on both days we were one of the only classes to get to run in mostly dry conditions. In my humble opinion, having CAM-T and CP run together in heat 6 meant we had the coolest and downright baddest cars at the event! Here are most of the CAM-T and CP cars in grid before their first runs Tuesday! Anyone who attended Tuesday will remember it for a long long time. Something like 6″ of rain in 12 hours came down during the day. Remember that part about rain or shine? CAM-C and CAM-S ran earlier in the day and were driving through rivers of water! CAM-T ran near dusk and into dark but we were lucky enough to get a mostly dry course! The West Course was more open and higher speed than the East course. I didn’t know it until after competition was over, but there was a timing error showing in the results. The entire heat I thought I was over a second off the pace of leader Patrick Darling. However, when I went to congratulate Patrick on the killer time he immediately pointed out it was an error. Even after the timing trailer insisted that was his time he and his codriver maintained it was an error. Shout out to Patrick for that! Suddenly I found myself leading after the end of competition on day 1. Sweet!! Here is one of the TCI Engineering equipped AutoXandTrack Camaro runs from the West course Tuesday. Notice that it was getting dark! After an okay nights sleep it was back to the track to try and walk the East course. I chose not to walk it Monday. However, with the event running way late on Tuesday there was no time to walk it after competition. The East course was much much busier and with the rain it also wasn’t lined in chalk. This would prove to be a problem for many drivers with a lot of DNF calls. While most heats were run in the dry on Wednesday I was happy to see a strong cloud layer hanging over the track and keeping temps low. Falken tires love cooler track temps! The day before the rain stopped and the course began to dry up in heat 5. Sure enough, this time the clouds went away and sun began shining and heating the track up during heat 5. By the time heat 6 came around my cool track advantage was gone! 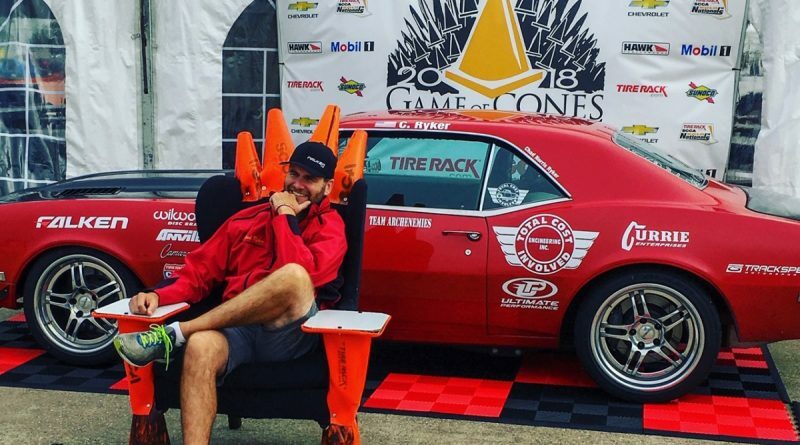 It was time to see if I could clinch a victory at the Superbowl of autocross! Surprise! Instead of a fox body bringing the heat, it was National Champion Brian Johns in a beautiful 64 Chevelle. This car had a full Corvette chassis underneath including working ABS! And, both cars were running JRI shocks tuned by JJ at Ultimate Performance. Each lap Brian and I were leapfrogging each other in time. Because Brian was a codriver and ran after me I’d have to wait after my run and see what he would come up with. His last lap actually beat my fastest by 20 thousandths of a second but my lead from Tuesday was enough to take home the win. I later overheard Brian describing that run as a hand shaker. The kind that when you get back to the pits your hands are still shaking from the adrenaline and excitement. Now, I can say it was awesome! At the time I was a bit of a stress case! 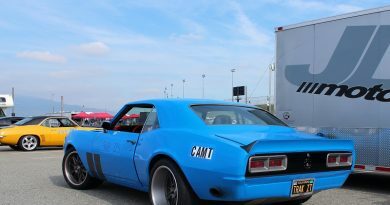 Ride along in the TCI Engineering equipped AutoXandTrack Camaro on the East Course! I’m glad I got to experience the SCCA Solo Nationals, though maybe next time will have a bit less rain! I’m really glad I was able to install all of the Anvil Auto carbon fiber pieces before the event. While my car was still 200 lbs over the weight minimum for CAM-T the Anvil Auto pieces helped shave 70+ lbs off the car. 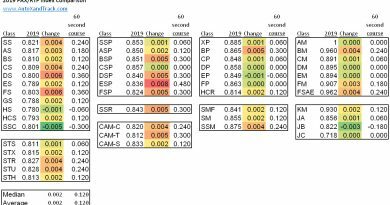 Look for an article with weight comparisons coming soon! I’m also thankful that my last minute alignment change was in the right direction. The car had definitely been feeling off the prior couple of months. This car has been a labor of love (and hate) for more than a few years. I have to acknowledge some of the companies and people that helped me achieve such an amazing win! The first step and foundation of what makes this car successful was the TCI Engineeringsubframe and torque arm. 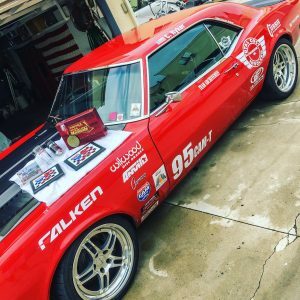 Partnered with Ultimate Performance tuned shocks, Wilwood Disc Brakes and Falken Tires elevates the Camaro’s handling to the highest level. The Currie Enterprises Turn 9 full floater helps put the power down. And the Anvil Auto carbon fiber, Trackspec Motorsports hood vents, Vaporworx fuel system and the Spectre Performance intake and front spoiler nicely round things out. Shout out also to Cal Club for making me a better driver. Especially all the coaching from my friend Tom Berry! Last but not least, thank you to my wife and daughter for supporting my racing efforts!